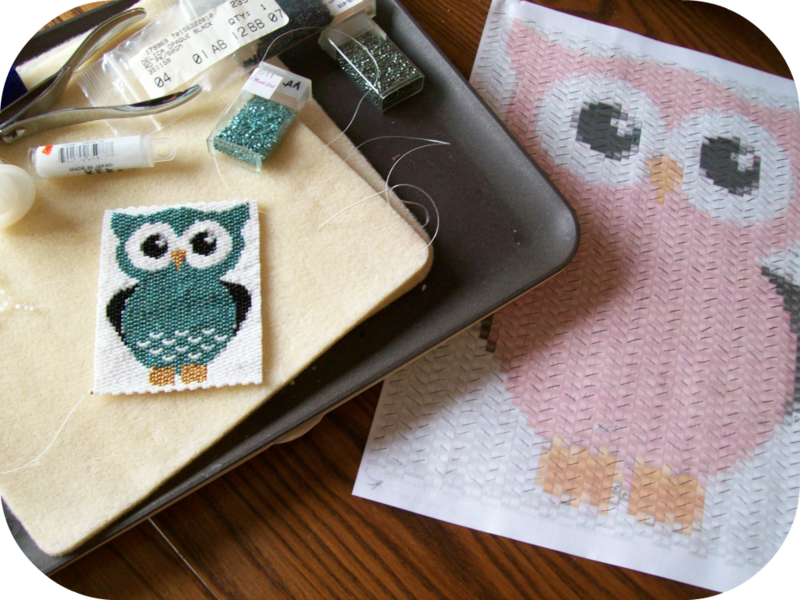 Amybeads: Owls and other crafty things! Owls and other crafty things! I'm excited to learn my Bead Soup Blog Party partner is Kepi, from the blog, A little of this, a little of that. We've been blogger friends for a while now and 'chat' frequently. Kepi is a very talented beader and shares my love of seed beads. And while in the past, I've enjoyed meeting new friends through the BSBP - this is totally FUN to partner with someone I already know and admire! In the meanwhile, I've got a few birthdays coming up and just completed beading up this owl for my girlfriend who loves owls! The pattern needs a bit of work (there was definitely some un-weaving and re-weaving going on with this one), but when I have a chance to fix the pattern I will post on my free patterns page. Future plans include mounting this in a frame and perhaps add some mixed media elements to the project. Stay tuned! And speaking of owls....I like them too!!! My previous BSBP partner was Alenka, of Pepita Handmade, and she and I are partnering for my next kit challenge. The dates and details are coming very soon because I just got my package of focals from her!!! They are gorgeous and I can't wait to share them! 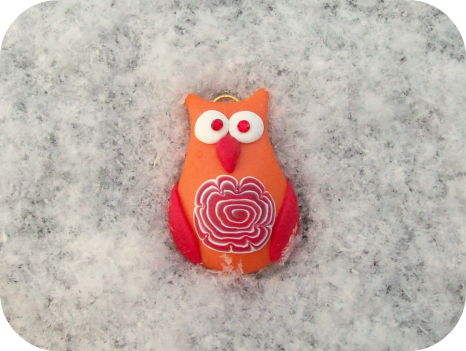 In the meanwhile - Alenka is so sweet and she sent me this darling, wonderful owl pendant that I had admired on her facebook page! and you can find them on her flickr page too! We're expecting about a foot of snow here this weekend so I suspect there will be a LOT of beading in my near future!!! I can't wait to play with this focal! 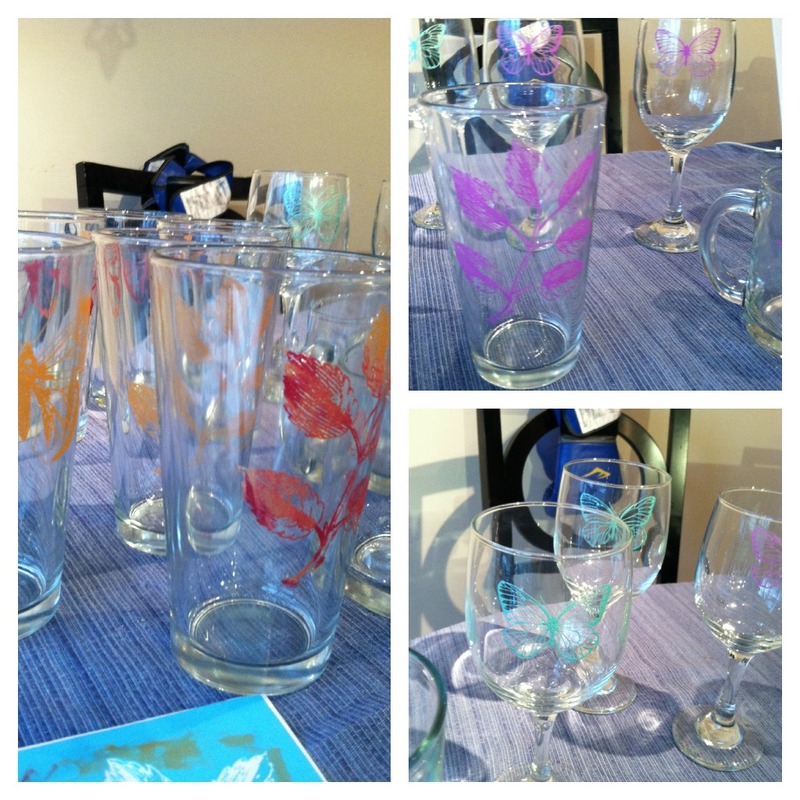 In other crafty news, I finally gave away my last set of stenciled glasses that I did for the holiday gifts...so I can finally share! I absolutely LOVED this craft and cannot wait to do more. 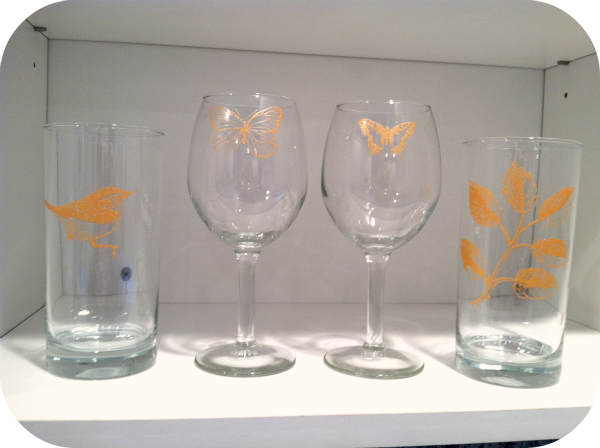 These are Martha Steward silk screen stencils for use with glass paint on glass and ceramic. The possibilities are seriously endless. The craft is relatively simple as well. 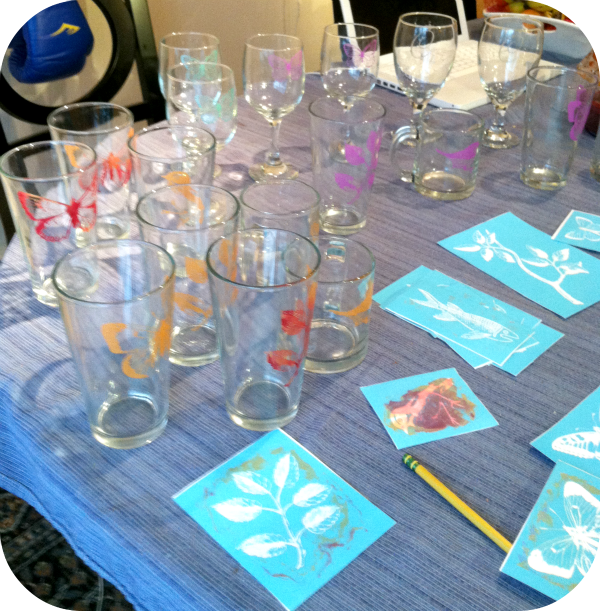 There is a little bit of a learning curve on figuring out how much paint to use, and how big or small a stencil you can use based on the curve of the glass....but once you figure that out, it is so much fun to play with the different colors and finishes of paint, and mix them! And use more than one stencil!! My only complaint with this craft is that you have to wash and dry the stencil after every use/every time you apply paint. Other than that little nuisance, it's really a lot of fun and the results are wonderful! I just heard about this Snowmageddon storm we're getting this weekend and I am NOT amused. All Russell cares about is that I get enough food. lol I hate snow. Not that we have to be anywhere but I worry about his truck getting snowed in or him getting into an accident if he goes on the road. PS I ADORE THOSE OWLS!!!! I love the glasses. What a great gift idea. The owl Alenka sent you is so adorable. I'm not a big owl lover but that one is just too cute! Good luck with the storm. At least you're in Mass where they can handle it instead of Maryland where we'd be in the house for a week!!! :)! Enjoy the snow! Stopping by to have a look at your blog and follow your journey through the bead soup blog party. This is my first one! Oh I so want to make the owl! It is so cute. So excited we are partners! I'm doing my first Bead Soup Blog Party and want to visit everyone's blog over the duration of the party. Since it's my first one, I want to see all I can see. :-) My blog is www.billi.rs.rothove.blogspot.com. I hope you make it by sometime soon! The orange owl is too sweet. I'm assuming it is polymer clay. 2nd Annual Spring Fling Kit Challenge!